In The Big Picture (Phrasing, Improvisation, Style & Technique), Keith Carlock reveals the elements of his unique approach to drumming. In an enlightening master class, Keith explains and demonstrates creative and technical concepts, illuminated by specific exercises, many of which are transcribed in the accompanying printable PDF eBook. Keith also plays to tracks from Oz Noy and from his own group, Rudder, dissecting his drum parts and relating each of his performances to the educational themes of the DVD. He also demonstrates and discusses his own approach to some legendary Steely Dan tracks. 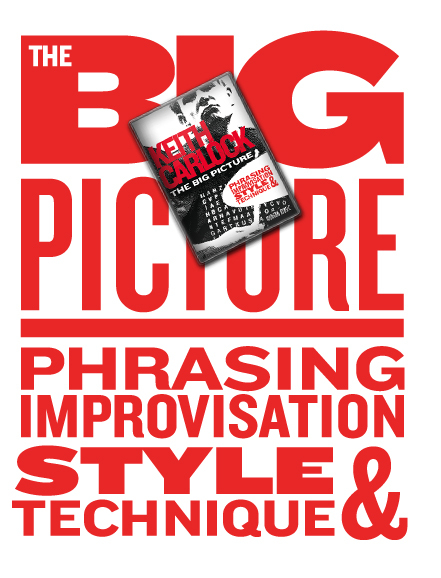 The Big Picture will help you get inside the musical mind of Keith Carlock to illustrate how you can become a more complete musician and a more expressive drummer. Get it now from Hudson, Amazon, or autographed by Keith from PayPal. Hi Everyone! 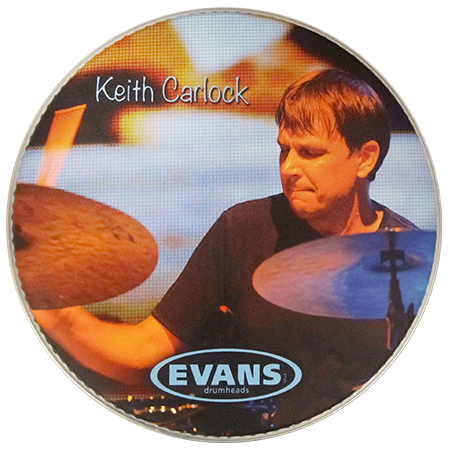 Check out these limited edition Carlock heads by Evans. Full color graphic, 12 inch heads, perfect for display, and signed by me. Get yours today. Click below on the PayPal button and for thirty bucks (includes shipping), we’ll send one out. You must check them out if you haven't already! Go to my Vic Firth page here for more info and click the "Buy it Now" tab to see a dealer near you. For those of you that may not know, my wife, Lynne Timmes-Carlock is a great singer-songwriter. We are excited to announce that her brand new CD is done and released. There’s some great songs with different vibes, interesting grooves, and great playing all around. I produced it and also played on the record along with some great Nashville musicians. I even did a little “sanging”! Please Click Here and you will have an option to buy the physical copy through Pay-Pal direct from us or there’s a link to download from i-tunes. We encourage you to buy the physical copy like the old days, it’s nice to have the liner notes and details, and it sounds better! Please spread the word!!! It’s really good!!!! And Thank You!